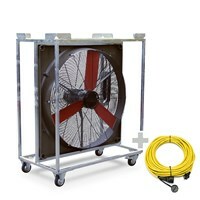 In this kit, you get the industrial floor fan TTV 4500 together with the corresponding hose adapter. 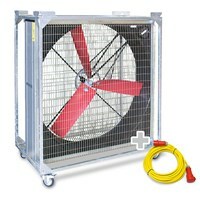 Package deal comprises the TTV 4500 industrial floor fan (4,500m³/h) and a pro extension cable. 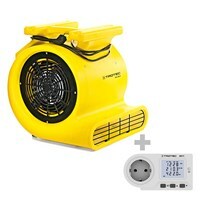 This compact fan fits in every nook and corner – here together with a practical energy cost meter. 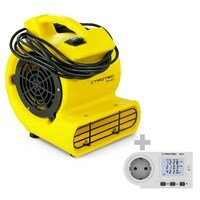 Package deal offers the TFV 10 S carpet dryer (400 m³/h) and a professional extension cable . 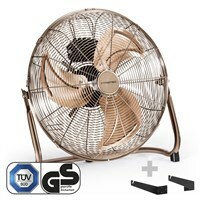 No matter which way you turn it - the TFV 30 always cuts a fabulously fine figure. 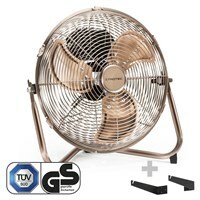 Package deal comprises the TFV 30 S, a 3-Way distributor and a BX11 energy cost meter. 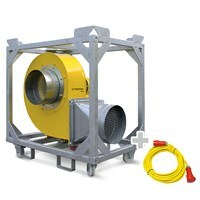 Package deal offers the TFV 300 and a professional extension cable 20m / 400 V / 2,5mm². 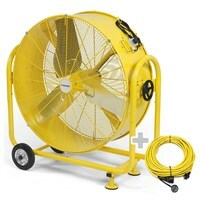 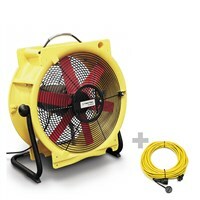 This deal comprises the TTW20000 wind machine and a professional extension cable. 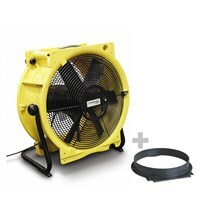 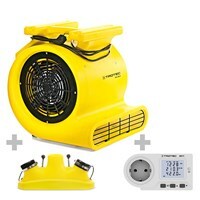 This deal comprises the TTW25000S barrel fan and a professional extension cable. 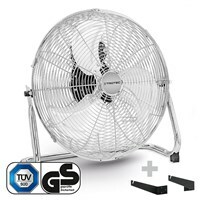 Package deal comprimises a TTW 35000 S barrel fan (max. 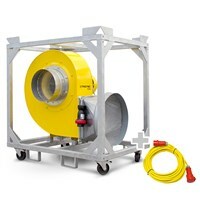 air flow rate of 32,400 m³/h) and a cable. 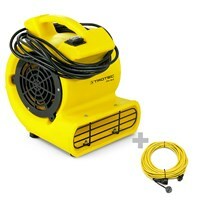 Package deal offers the TTW 45000 and a professional extension cable 20m / 400 V / 2,5mm². 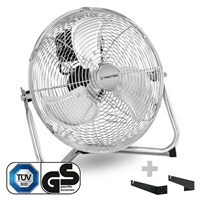 The TVM 12 has 55 W power, 3 speed stages and an adjustable fan head. 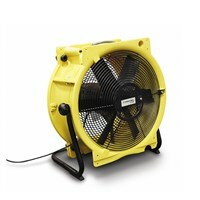 The TVM 14 has 70 W power, 3 speed stages and an adjustable fan head. 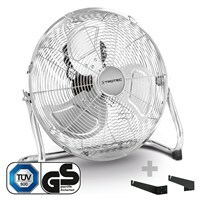 The TVM 18 has 120 W power, 3 speed stages and an adjustable fan head. 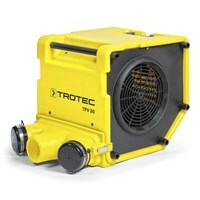 The TVM 18 S offers 120 W of power and a pull-out and height-adjustable telescopic tube. 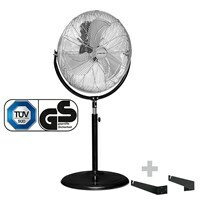 The TVM 20 D has 120W power & a 360 ° rotator around the horizontal axis. 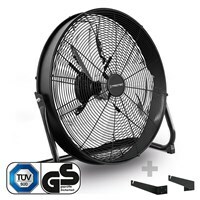 The TFV 30 turbo fan with a maximum air flow of 2,200 m³/h. 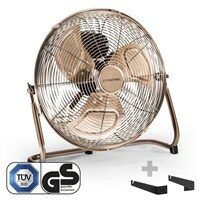 Look through a wide rang of fans with great features at reasonable prices!